From Yu-seok-sa, southwestern slope of Sobaek-san: ABOVE: San-shin wearing a folded had made from wool or maybe even fur! I've never seen THAT before... 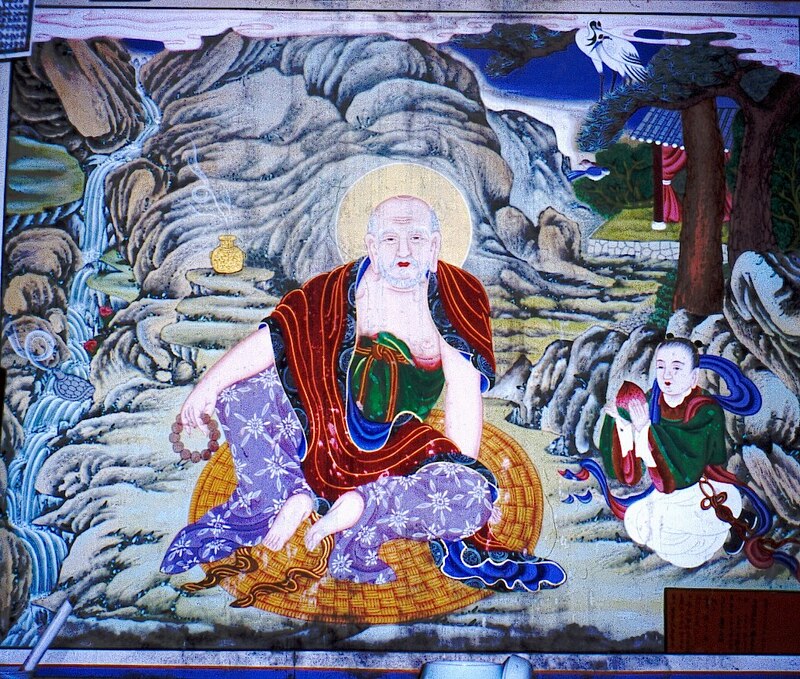 He has a senior monk's face; quite probably the founder of this temple. 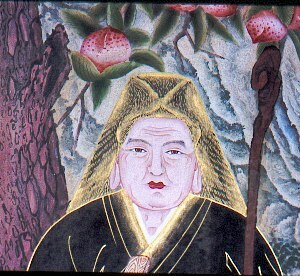 The black Korean-style robe is extremely rare in a San-shin icon. Peaches of Immortality hang from a branch above him, a fairly rare motif. UPPER RIGHT: the dongja [attendants] from that painting, girl holding a tray of bullo-cho & ? ?, and boy holding a master's staff with two gourds tied on it. RIGHT: the excellent Deok-seong painting enshrined beside the San-shin, with shrine-building, one flying crane and a golden incense-burner in the background. 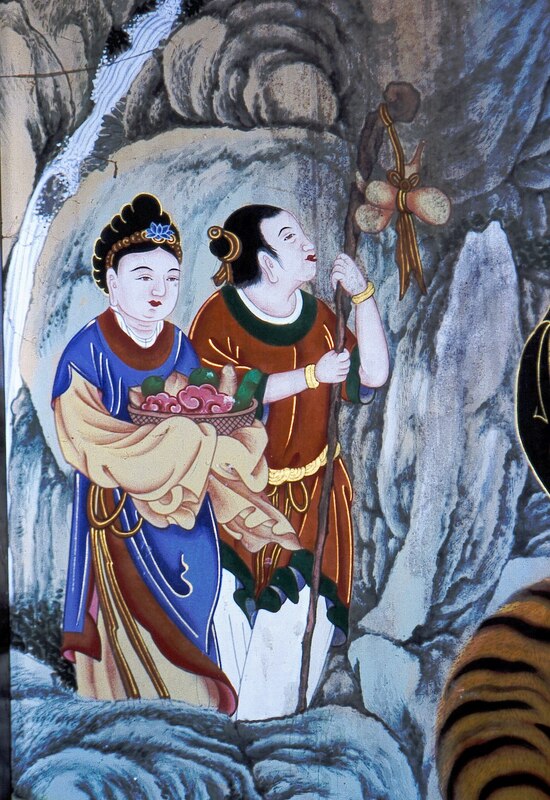 An angelic boy-dongja kneels and offers him a peach-of-immortality (these Daoist peaches belong in San-shin icons, and are not "supposed to be" in Deok-seong icons.